Originally plastic was a byproduct of the petrochemical industry. Now we manufacture it in a variety of ways, for a variety of purposes. It can be soft and flexible or rigid and incredibly strong, or anything in between those two extremes. It truly is a versatile material, replacing, wood, glass, metal, and paper. If used responsibly I think that it's a good product. Unfortunately....because we are human and suffer from hubris, and for the most part we behave in an egocentric fashion (responsibility isn't our strongest attribute when it comes to planet earth) - we always seem to take a good thing to extreme, turning it into a bad thing in the process. Such is the case with plastics. 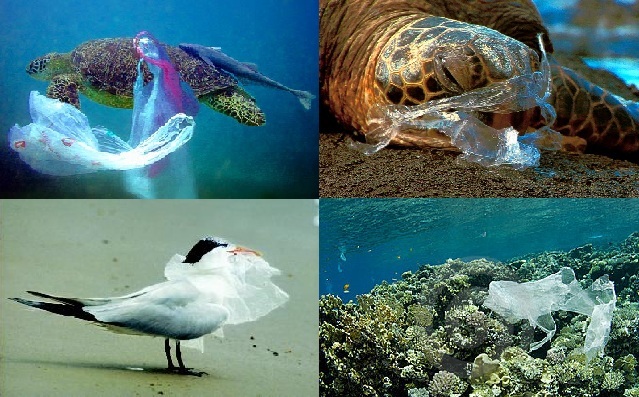 It's estimated that plastic bags and other plastic garbage thrown into the ocean kill as many as 1 million sea creatures every year. 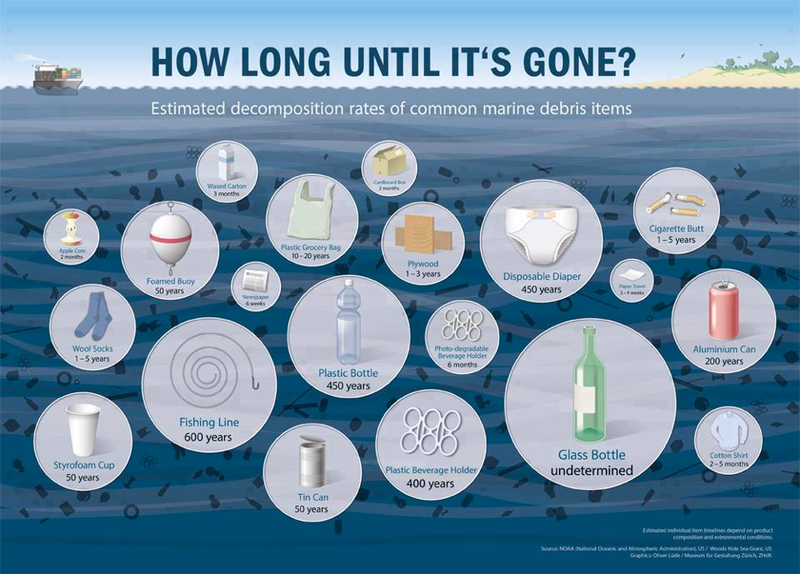 Now we are producing and discarding micro beads of plastic, and guess where they're ending up? In our rivers, lakes and oceans. 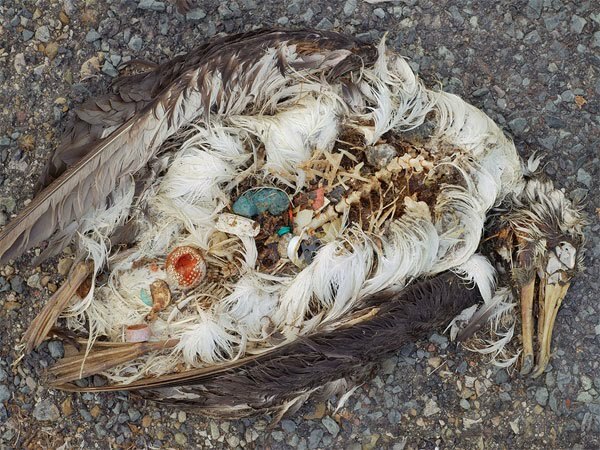 Most debris in the Great Pacific Garbage Patch is plastic. Plastic is not biodegradable, meaning it does not disintegrate it simply breaks into tinier and tinier pieces, called microplastics. Microplastics of the Great Pacific Garbage Patch can simply make the water look like a cloudy soup. Fish and sea life are exposed to everything we put in the oceans and waterways. Normally, we talk about toxins like mercury and even oil. 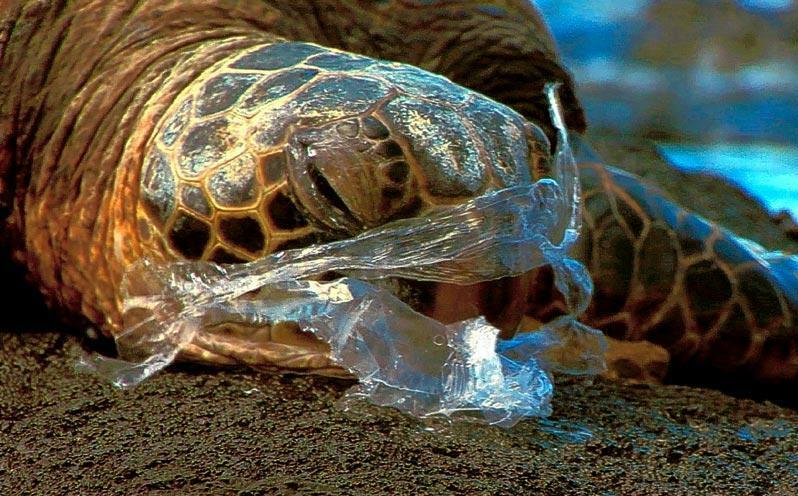 But a new study indicates plastics could be doing serious harm to the fish and ultimately the people who consume it. We already knew pollutants moved up the food chain, starting in the smallest life forms in the sea and getting more concentrated as it moved into the larger predators. This is why foods like tuna and swordfish tend to have the highest mercury and toxin levels. 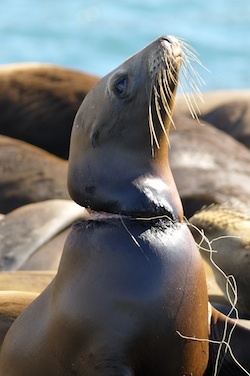 But the new study looked at how plastics affected this transfer of toxins. They fed a fish called medaka three different diets: one of regular fish food, one of 10% plastics with no pollutants, and one with a diet of 10% plastics that had been soaking in the San Diego Bay. Perhaps unsurprisingly, the group with the dirty plastics had the highest levels of organic pollutants following the study period. They were also more likely to have tumors and liver problems. 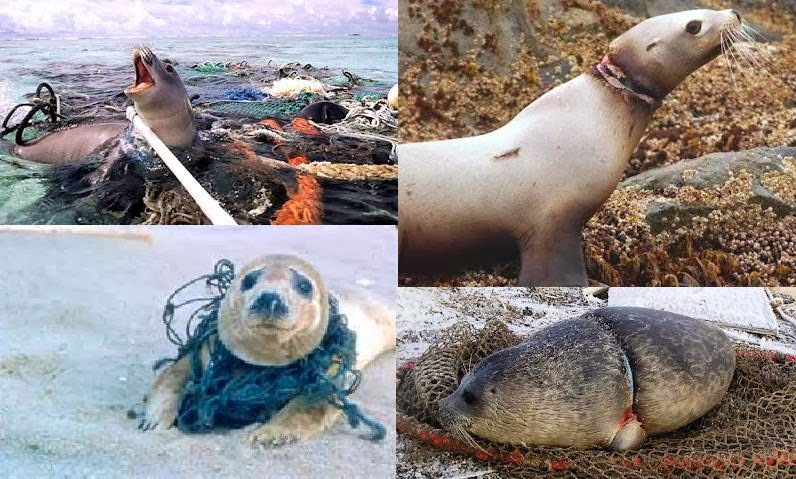 Beaches worldwide bear witness to the ugly impact of plastic debris on our oceans. Milk jugs, water bottles, cigarette lighters, diaper liners, jar lids, cheap toys, and goodness knows what else festoon tide lines today. But this may just scratch the surface. 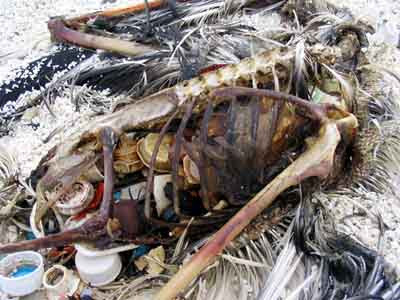 The Great Pacific Garbage Patch is a collection of marine debris in the North Pacific Ocean. 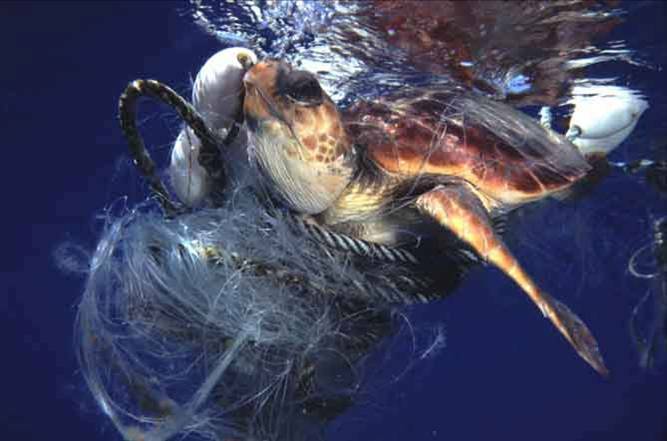 Marine debris is litter that ends up in oceans, seas, and other large bodies of water. The Great Pacific Garbage Patch, also known as the Pacific trash vortex, spans waters from the West Coast of North America to Japan. 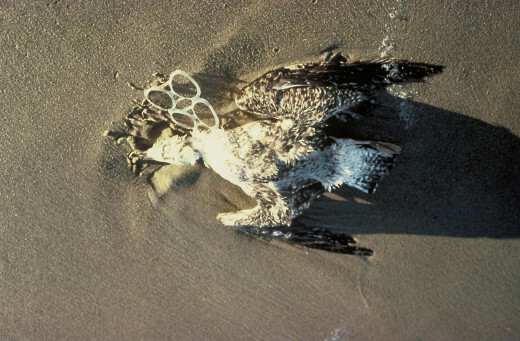 The patch is actually comprised of the Eastern Garbage Patch, located near Japan, and the Western Garbage Patch, located between the U.S. states of Hawaii and California. Millions of people are unwittingly pouring hundreds of tons of tiny plastic beads down the drain. These can persist in the environment for more than 100 years, and have been found to contaminate a wide variety of freshwater and marine wildlife, The Independent on Sunday can reveal. Few consumers realise that many cosmetic products, such as facial scrubs, toothpastes and shower gels, now contain many thousands of microplastic beads which have been deliberately added by the manufacturers of more than 100 consumer products over the past two decades. Plastic microbeads, which are typically less than a millimetre wide and are too small to be filtered by sewage-treatment plants, are able to carry deadly toxins into the animals that ingest them, including those in the human food chain such as fish, mussels and crabs, scientists said. While many people have assiduously tried to recycle their plastic waste, cosmetics companies have at the same time been quietly adding hundreds of cubic metres of plastics such as polyethylene to products that are deliberately designed to be washed into waste-water systems – one estimate suggests that, in the US alone, up to 1,200 cubic metres of microplastic beads are washed down the drains each year. Scientists and environmentalists have started lobbying the industry to stop using plastic microbeads in exfoliant skin creams and washes, but with limited success – a relatively small number of firms have publicly agreed to phase them out, and even then have given themselves several years to do so. Britain, along with the rest of the EU, is being urged to follow the lead of New York State which last week became the first place in the world to prohibit the use of plastic micropellets in cosmetic products after a failure by the vast majority of personal-care companies to agree to an immediate voluntary ban. They're normally found in face wash, shower gel and toothpaste. But plastic microbeads are now showing up in lakes and rivers. A team of researchers from McGill University and the Quebec government have discovered these microbeads — often marketed by the cosmetic industry as a way to feel extra clean — at the bottom of the St. Lawrence River. "The more we looked, the more we found. That was definitely really worrisome," said Suncica Avlijas, a graduate student at McGill University. Microplastics are a global contaminant in the world’s oceans, but this is the first time they been detected in fresh water. Researchers collected sediment from ten locations along a 320-kilometre section of the river from Lake St. Francis to Quebec City. Microbeads were sieved from the sediment, and then sorted and counted under a microscope. Last edited by TheThing; 10-03-14 at 08:11 PM. There were plans to charge for the bags here in the UK (something like 5p per bag), but I have never been in a shop where this has been imposed. It's a shocking problem. Shoppers, ideally, should re-use sturdy fabric bags instead of opting for the flimsy membranes that burst with anything heavier than 2 apples in them. The photos in you post, Thing, were shocking. Truly awful. here in Toronto we used to have a 5cent fee on plastic bags, it's not a big fee, but what happened was it made people buy cotton bags for groceries and use plastic bags a whole lot less. But then two huge disgusting liars came into the mayors office, and convinced enough people that 5cents was an attack on hardworking taxpayers by government, and while a total ban on plastic bags was in the offing, now it's unfettered use all the plastic bags you want now. You feel helpless sometimes against the machinery of the disgusting lunatic liars. If people don't voluntarily stop accepting plastic bags and start using their own re-usable ones instead, then a fee per plastic bag is probably something that needs to be enforced globally. We can't dump toxins legally into our waterways, so why should we be allowed to dispose of plastics in a similar unthinking and uncaring way? If it comes down to spending a few pence extra every time you shop, people will (hopefully) eventually realise that it hurts the wallet and THEN our illustrious and intelligent species will react (cos, hey, that's the bottom line for many). what was amazing, was that a fee of just 5cents, which would likely amount to no more than 20 to 40cents total (if you're spending 100+ dollars) and that was enough to drop plastic bag usage massively. Yes, a scheme like that definitely works. Most people begrudge giving away even a few pennies if they can avoid it. Last week, my pupils put up a display in the school corridor about plastics and the ocean ecosystem. Some shocking images, similar to what The Thing posted above. Corpses of whales with numerous plastic bags inside them. Seals with fishing rope around their necks. I'm old enough to remember my parents buying cheese and meat wrapped in biodegradable wax paper and buying drinks in glass bottles that could be returned for 5p. Now, it seems, everything is wrapped in plastic for fear of a company being sued for 'unhygienic practice' when it comes to food retail. Even people here in the relatively unpolluted Scottish highlands buy imported water in single-use plastic bottles, despite the local tap water being of high quality.